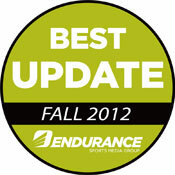 Twice a year, running shoe companies release their newest products and make updates to our favorite trainers. This fall, runners can expect a continued emphasis on neutral trainers where design principles dictate that faster and lighter is better. Updates to your favorite old standbys include more flexibility, minimalist uppers, and natural lasts — all of which aim at letting the foot function more unimpeded than ever before. Ten ounces seems to be the new performance line of demarcation. And shoe weights that were once reserved for racing flats now have enough protection to function as daily trainers. 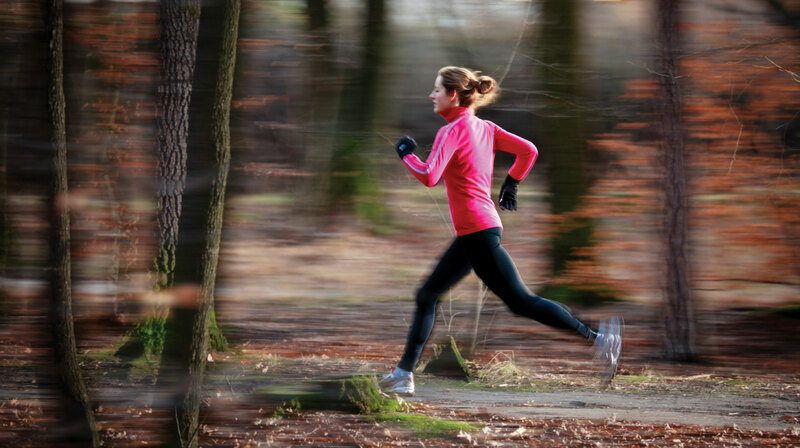 What does this mean for runners prepping for fall marathons, cross country, and 10K PRs? Selecting your next pair of running shoes has never been so joyful and tedious at the same time. Here are a few of our favorites from the newest batch of road shoes sure to put a spark into your training. Weight: Men’s 7.6 oz. | Women’s 6.8 oz. In such a lightweight package, the Streak II begs to be raced in. Testers found it substantial enough for daily training, and runners appreciating a lightweight flexible feel with just a touch of support will like the Streak II’s versatility. A 9mm heel drop is complemented by soft cushioning in the heel, which is more firm in the forefoot. A breathable and unobtrusive upper completes a shoe that’s perfect for racing up to marathon distance or fast-paced training. Weight: Men’s 7.7 oz. | Women’s 6.7oz. Straddling the line between minimalist and a more traditional trainer, the Kinvara 3 does not disappoint. In keeping with all the features that have made the Kinvara so popular, Saucony tweaked this newest version to have a more form-fitting and durable upper. Saucony uses a spongy and resilient Progrid cushioning that forefoot strikers love. And the shoe is highly flexible, making it a great choice for both training and racing. The Kinvara 3 has a 4mm heel drop, which allows the foot to land naturally without any motion-control devices. We think the Kinvara is a great fast-paced trainer and racing shoe. Carbon rubber cutouts were placed on areas of high wear on the outsole, which should make this the most durable Kinvara yet. Weight: Men’s 9.6 oz. | Women’s 8.0 oz. This latest Wave Precision is a very well-cushioned update to Mizuno’s popular lightweight neutral trainer. Similar in weight to the Precision 12, the newest incarnation has more plush cushioning — which was appreciated during long training runs on the road. The fit was universally praised and should work well for most runners. The Precision 13 employs a breathable mesh upper with well-placed overlays consistent throughout Mizuno’s line — some will find the feel and performance reminiscent of the popular Wave Rider 13. The Precision 13 is a kind of all-in-one trainer that can handle everything from speed work to long runs. Weight: Men’s 9.1 oz. | Women’s 7.6 oz. The Newton Gravity Neutral Performance Trainer represents the combination of protective cushioning and a low heel drop in a surprisingly responsive package. Weighing only 9.1 oz with a 3mm heel drop, runners new to Newton shoes will find the Gravity a bit more forgiving — allowing for less transition time into the shoes and less stress on the calves/achilles. Testers used to wearing shoes with less than 10mm heel drops felt comfortable in the Gravity. And they loved the glove-like fit throughout the heel and midfoot, which splayed out to a wide forefoot. Some testers felt that the Gravity ran just a tad bit long, while others appreciated the extra toe room. The upper is highly breathable with just enough overlays to help the foot feel locked down. The Gravity’s four actuator lugs encourage midfoot / forefoot landing, and offer great energy return. Weight: Men’s 11.0 oz. | Women’s 9.5 oz. The updated Fast3 fulcrum_ride includes an improved upper that features breathable mesh and an accommodating forefoot. Testers loved the fit. Karhu’s fulcrum technology is meant to create forward momentum throughout the gait. Heel strikers enjoyed the well-cushioned heel and high drop, which lends itself to forward momentum as intended. Forefoot/midfoot strikers found that the fulcrum technology and high-heel drop somehow limited the natural motion of their feet. Both agreed that the soft EVA midsole provided a great deal of cushioning over the long run in a very comfortable package. Weight: Men’s 8.3 oz. | Women’s 7.4 oz. Scott enters the U.S. running market with a racing shoe billed as light enough for racing, but cushioned enough for training. The T2C uses rocker technology (visible in the slightly bulging midsole), which is aimed at improving transition and aiding in midfoot/forefoot striking. The upper is snug but comfortable, with a very soft mono-tongue and breathable mesh that’s coated with a water-repellent technology. Testers loved the fast feel of the T2C. It was smooth on the road, and the rocker design was minimal enough to not be noticed. An added touch of medial support makes this a great lightweight training/racing shoe for neutral runners to slight-overpronators. Weight: Men’s 10.2 oz. | Women’s 8.3 oz. The Pegasus is such a mainstay in the neutral cushioning market that Nike ensures its success by changing little from year to year. The Pegasus 29 improves on the upper fit by using engineered mesh, thereby reducing the number of traditional overlays. The heel drop, fit, and ride stay the same. And runners looking for the soft cushioning that Nike is famous for will love that you can rack up the miles on the Pegasus without the midsole losing resilience. Testers loved the smooth ride and great fit, as well as the fact that Nike continues to stick with the successful design of this shoe. With this much cushioning packed into such a lightweight package, what’s not to like? Weight: Men’s 10.7 oz. | Women’s 8.8 oz. The Ghost 5 offers the same soft and highly responsive neutral cushioning as its predecessor, while decreasing the weight and creating consistent ground contact on the lateral side. Testers felt that this was the most responsive Ghost model yet. And the DNA cushioning in the forefoot and heel seem to customize to the speed of each workout, firming up for faster paces and maintaining a soft feel during recovery runs. More breathable mesh was added to the upper, while the segmented forefoot and heel increase flexibility throughout transition. The fit seems universal and will accommodate a wide variety of feet. Some runners complained about the noticeable arch in previous versions, and will be happy to hear that the Ghost 5 has a reduced arch. A plush interior makes the Ghost 5 a must-try everyday trainer for neutral runners. Weight: Men’s 8.3 oz. | Women’s 7.6 oz. The Cloudracer is billed as a racing shoe. But with highly cushioned CloudTec Elements (18 small hollow pods on the sole of the shoe), it performed great for daily runs. A featherweight upper with great breathability is generous in fit; some testers found that the Cloudracer ran a half size large. A 5mm heel drop makes this shoe a great option for both fast-paced training and racing. And testers commented that their legs felt less beat up than while training in other similar weight racing shoes. Weight: Men’s 10.4 oz. | Women’s 8.8 oz. The Faas 900 is Puma’s maximum-featured neutral trainer, and the ride of the Faas is certainly plush. The breathable upper is accommodating enough for most feet, and sits on top of a one-piece EVA midsole that’s as fully cushioned as any top-of-the-line neutral trainer. The Faas 900 is devoid of bells and whistles — a refreshing change in the world of high-end neutral trainers. 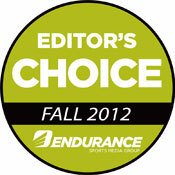 Testers appreciated that the Faas 900 retains flexibility while offering protection for high mileage or heavy runners. Weight: Men’s 11.3 oz. | Women’s 8.7 oz. 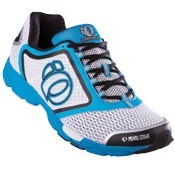 Many runners with mild overpronation are looking to transition from stability shoes to neutral shoes. And the supportive arch and molded cushioning of the Cumulus 14 may be a great entry shoe into the neutral category. Asics added more cushioning to this latest version, making the Cumulus even more of a contender with the Asics Gel Nimbus. Heel strikers will especially love the gel inserts in the heel and smooth transition from heel to toe. Overall, testers loved the Cumulus for long runs and recovery runs, where the soft cushioning helped rest pounded legs from yesterday’s workout. Weight: Men’s 11.9 oz. | Women’s 9.3 oz. New Balance updates their maximum support trainer, making it lighter and more responsive. They used N2 cushioning throughout the midsole and a more flexible medial bridge for support without feeling controlled. An 8mm heel drop makes the 1260 V2 more performance-oriented and fun to wear, and flexible overlays well-placed throughout a breathable upper hug the foot on top of New Balance’s natural last. Runners looking for good support without feeling encumbered will love the 1260 V2. Weight: Men’s 9.0 oz. | Women’s 7.6 oz. Adidas redesigned the Tempo to be lighter weight and more flexible with the same token support and protection that many runners have come to love. Over 1 oz. lighter, adidas lowered the overall stack height of the shoe and gave it a slightly lower heel drop, thereby improving the transition of the shoe. Dual-density midsole material continues to be used, along with a torsion system, to provide just a touch of support for overpronators without hindering flexibility too much. adidas made the upper lighter and more breathable by using welded overlays, making it both more durable and able to drain water well during runs in the rain. The Tempo 5 is the most race-ready version yet. Runners needing a bit of extra support for the half or marathon distance should give the Tempo 5 a test drive.